We provide a very unique opportunity to put your advertising message in front of a highly focused community of individuals and organizations who are familiar with concussion/traumatic brain injury. HOPE Magazine was launched in March of 2015. Meeting the needs of those impacted by traumatic brain injury, our all-digital magazine features timely articles offering insight and perspectives from brain injury survivors, caregivers and family members as well as members of the professional and support community. Why Advertise in HOPE Magazine? • Targeted delivery of your ad to those directly affected by, or involved in brain injury - either as survivors, family members or members of the professional, medical and support communities. • Multiple distribution channels for our publication including direct subscribers as well as heavy promotion through social channels including Facebook, LinkedIn and Twitter. • Focussed demographic means higher advertising R.O.I. • Lifetime ad archives on our Past Issues page. You ad will be viewed for years. • Our publication is promoted heavily through a wide range of social media outlets. This offers advertisers exposure within our publication as well as real-time exposure via our social presences. • Unlike traditional advertising, adverting in digital media means that your ads never expire. Past issues continue to circulate the internet. Our past issues page is one of our most visited pages - leading to repeat and long-term ad exposure for our advertisers. We promote our publication heavily through our social networking channels including LinkedIn, Twitter and Facebook. • Our Facebook Community is one of the world's largest serving the brain injury/concussion community. • Facebook users average 350,000-500,000 monthly member engagements on our page. • Several thousand LinkedIn followers within the medical, professional and concussion community. • Social Membership is 100% focused on brain injury. • Subscriptions to this all-digital publication are free through an online signup on our website. 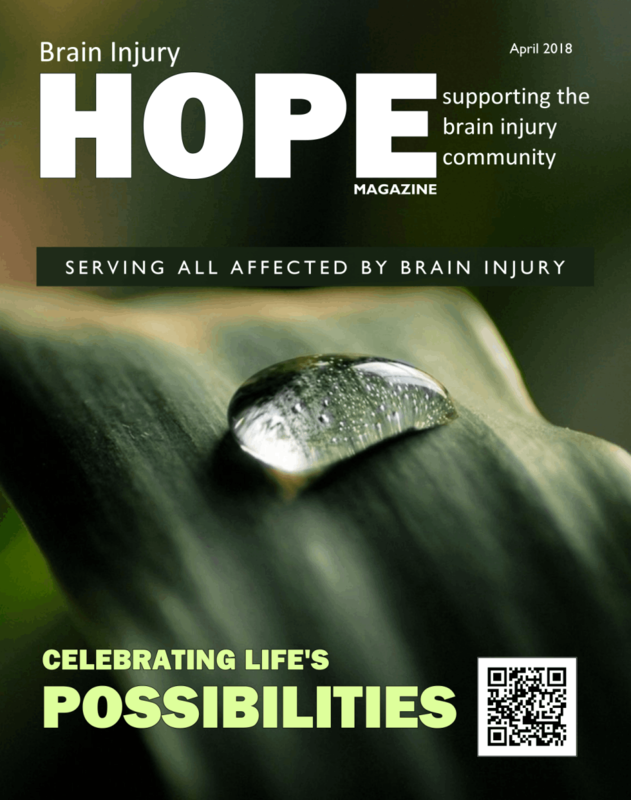 There is no larger and more engaged demographic than the reach that TBI HOPE Magazine offers. The views expressed in any part of the website or magazine are not necessarily those of the Publisher or Editor, or any contributor. Acceptance of all material and advertisements is conditional upon the contributors’ and advertisers’ warranties that they do not contravene any regulations appertaining to advertising standards. The Publisher and Editor accept no responsibility for errors in advertisements or liability for loss or damage. IMPORTANT -This site does not dispense medical advice. Brain injury is a serious medical condition requiring treatment by medical professionals. Please consult your physician immediately if you have concerns about your health.